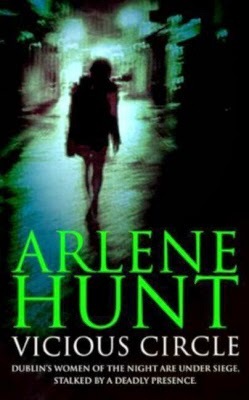 Irish writer Arlene Hunt's debut novel was Vicious Circle (2004). Her second novel, False Intentions (2005), introduced two regular characters, John and Sarah of QuicK Investigations. This was followed by four more books in the "John and Sarah" series, Black Sheep (2006), Missing Presumed Dead (2007), Undertow (2008) and Blood Money (2010). Originally from Wicklow, Hunt lives in Dublin with her family "and a melee of useless, overweight animals". She has contributed to various anthologies, including Down These Green Streets and Requiems for the Departed. Besides being an established bestselling author, she chose to turn down a publishing contract with Hachette Ireland to set up her own publishing house, Portnoy Publishing, in 2012.